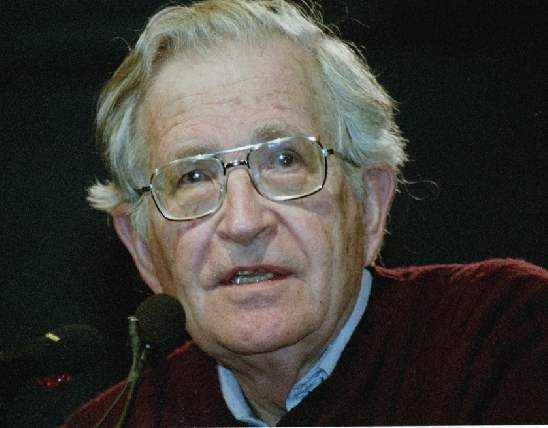 above Noam Chomsky speaking at Agape Peace Ministry - Culver City CA April 6 th 2003. It is a virtual reflex for governments to plead security concerns when they undertake any controversial action, often as a pretext for something else. Careful scrutiny is always in order. Israel's so-called security fence, which is the subject of hearings starting today at the International Court of Justice in The Hague, is a case in point. mined, impenetrable. Such a wall would maximize security, and there would be no international protest or violation of international law. "strategy of bringing the population to heel." communities into dungeons, next to which the bantustans of South Africa look like symbols of freedom, sovereignty and self-determination. would cut the West Bank into 16 isolated enclaves, confined to just 42 percent of the West Bank land that Mr. Sharon had previously said could be ceded to a Palestinian state. The wall has already claimed some of the most fertile lands of the West Bank. And, crucially, it extends Israel's control of critical water resources, which Israel and its settlers can appropriate as they choose, while the indigenous population often lacks water for drinking. while land and resources have been taken for settlers enticed by ample subsidies. contact with Egypt and blockaded from the sea. two-state proposal has the support of a majority of Americans today, and could be enacted immediately if Washington wanted to do so. 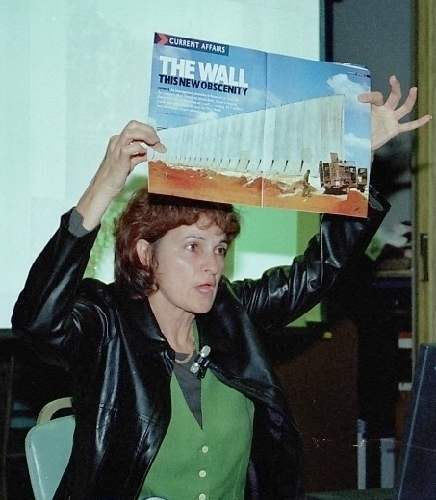 At most, the Hague hearings will end in an advisory ruling that the wall is illegal. It will change nothing. Any real chance for a political settlement — and for decent lives for the people of the region — depends on the United States. Susy Mordechay was born in Austria to parents who were refugees during WWII and who had lost family in the Holocaust. She was raised and educated in Israel, where she finished her studies at Hebrew University in Jerusalem. Later, she did graduate work in Linguistics at UCLA. She has worked with Various Israeli groups, in particular the Committee against Home Demolitions, the Coalition of Women for a Just Peace, and Ta’ayush, an Arab-Jewish partnership.